Fully restored inside and out to remarkable visual and playing condition. Attractive new St Lucia Blue finish. This custom finish Steinway M will be available for your special home because you dare to be different. This centerpiece will become a treasured heirloom to be passed from generation to generation. Own a lovely example of fine American craftsmanship. To be beautifully restored in 2019. All-new action, including wippens, hammer shanks, flanges, and genuine Steinway hammers. 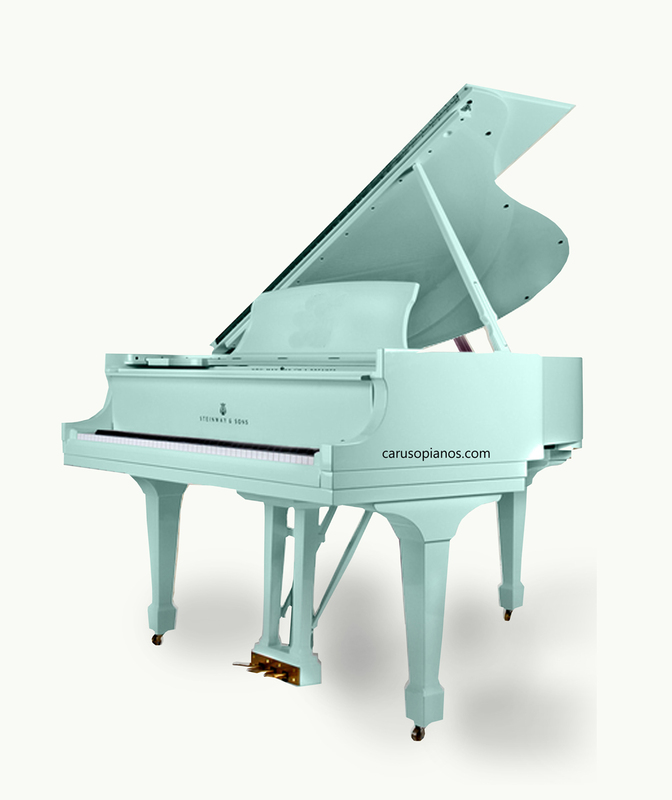 Carefully voiced and regulated by the piano's owner, a master Registered Piano Technician. Traditional cabinet fully refinished in a handsome hand-rubbed finish. New Steinway & Sons contemporary fall-board decal applied. A serious pianist will especially appreciate the attention paid to this piano's action; it is responsive, quick, and fluid.